This beautiful pedestal bowl is the perfect addition to any table. Ideal for serving fruit, sauces, candies, nuts. 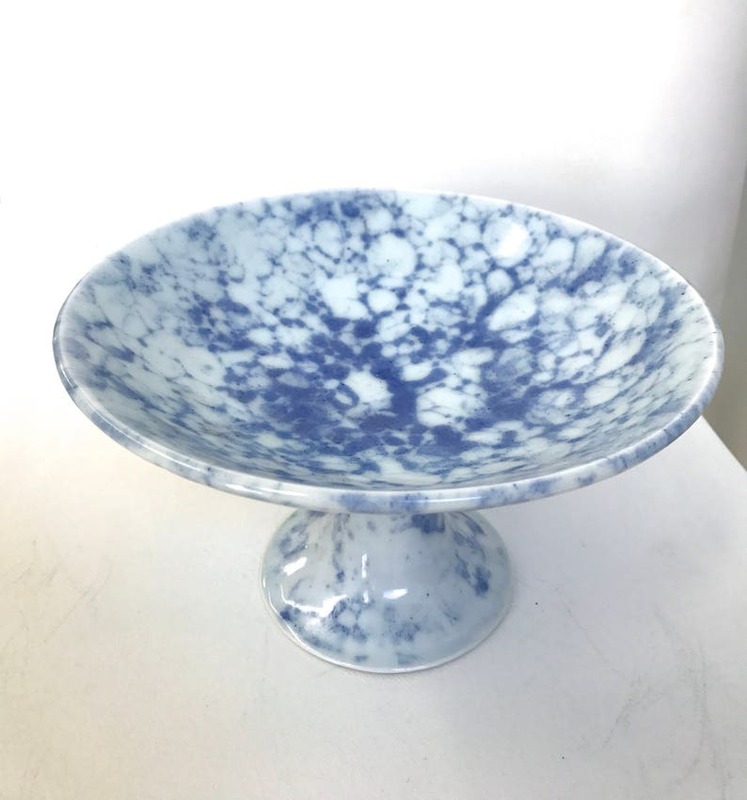 It was wheel thrown in two parts and glazed in a high gloss blue and white creating a "marbleized" effect.